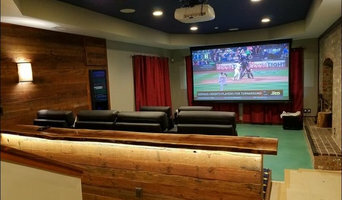 Whether you are looking to create a dream kitchen, remodel a bathroom to fit your specific needs, build a deck for entertaining, or change your unfinished basement into a man cave or a game room for the kids, Lion Construction offers you quality craftsmanship and service in every project. From the initial phone conversation to the final cleaning, every step of the process is approached with integrity and managed with care as we strive to turn your dreams and visions into reality while staying on time and within your budget. Westbrook Restorations is Built to Withstand. 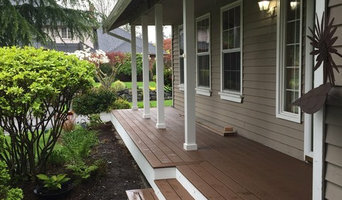 A 3rd generation renovation contractor and master carpentry company, servicing Seattle, Bellevue, and Everett. 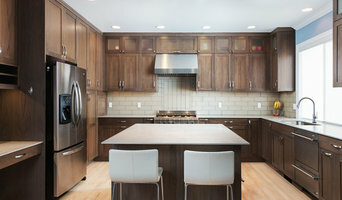 Westbrook specializes in remodeling Historic, Vintage and mid Century Modern homes or buildings. Our service method is focused on a clean, surgical, and craftsman approach from kitchen and bathroom remodels to renovating basements, or wood rot repairs to restoring and rebuilding wood components for your home. 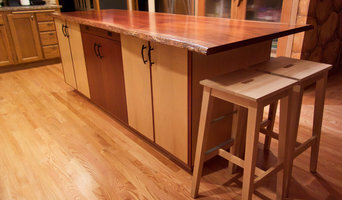 We perform our own hands on carpentry in your home, from specialized structural framing like installing a beam or moving walls, to replication and replacement of structural millwork, like in the mid-century modern home, to fine carpentry installations, like installing crown molding, railings or stairs or building and matching existing cabinets. You may also find us restoring or rebuilding that historic front porch, and entry stairs, or perhaps replicating eve cornices, or restoring historic wood windows and sash. We can even relocate that staircase leading to the attic, or basement. Our fully tooled woodshop is used as an extension of our field activities to restore historic windows and door systems, to replicating historic millwork, or simply building mantels, cabinets, or anything that isn’t normally available and requires a high level of shop tooling and installation skill. “I strive to maintain old fashioned principles. like respect, hard work, trust and stewardship, so we can carry the long standing tradition, that quality is simply building to stand the test of time.” - Daniel Westbrook owner/3rd generation master carpenter and remodel contractor Feel free to reach out any time, I would love to hear about your remodeling or carpentry needs. Our vision is to be the go to company for all home repairs and remodels. We are making this happen by being a company that cares. We focus on creating a long lasting relationship with you, by treating each project with integrity and respect as if it is our own. Commitment to service Our most important task is keeping you happy. Our response time and delivery is our top priority. Home Care Contractors recognizes the importance of Communication, integrating it in all aspects of our services. We promise to meet deadlines and respond to requests as soon as possible. Shepel Homes is your trusted partner in home building & renovation. It is our priority to deliver construction services to you, our client, in a most professional and intelligent way. We have over 15 years of experience and ready to utilize best practices of the industry with outstanding expertise, skill, and precision on your next project. All the while providing customer service where you, our client, are in a focus, making sure your expectations and needs are met. DC2 LLC is a Turn key, full service general contractor focusing in customer service above all. Our job is to help your project go from a dream to a reality, walking you through the process from start to finish. We focus inside the home to outside your home. 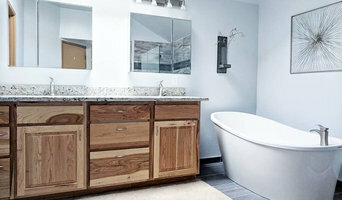 Bathroom remodels, kitchen remodels, backyard remodels, we will walk you through the different option on tiles, backsplash, wood, paint, and any other details your project requires. There are no limits to what we can do, we can build you a deck or a whole fire pit for your family and friends. From home remodels to additions and everything in between, with us "If you can dream it, we can build it"! General Contractor specializing in residential remodels, addtions, and new construction.